Extramarital affairs are certainly not the social taboo that they once were, and may be more prevalent now than ever. Unfortunately, Christians are not exempt. With the anonymity of the Internet and the privacy of personal mobile phones, the temptation to cheat on one's spouse has fertile ground to grow. 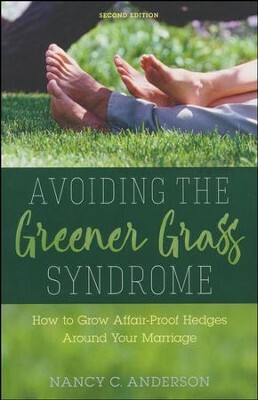 After straying to the other side of this marital fence - and returning to find forgiveness and restoration - Anderson brings this practical book about predicting and preventing an extramarital affair. Based on the principle that the grass is always greener when it's watered, Avoiding the Greener Grass Syndrome focuses on how to grow a beautiful marriage by establishing six protective hedges around it. This second edition includes a new chapter on repairing marriage following infidelity, as well as an appendix considering the Andersons' own marriage before and after the affair from Ron's point of view. 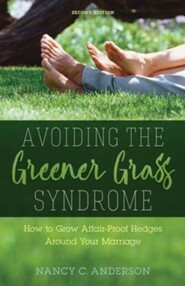 I'm the author/artist and I want to review Avoiding the Greener Grass Syndrome: How to Grow Affair-Proof Hedges Around Your Marriage, Second Edition.